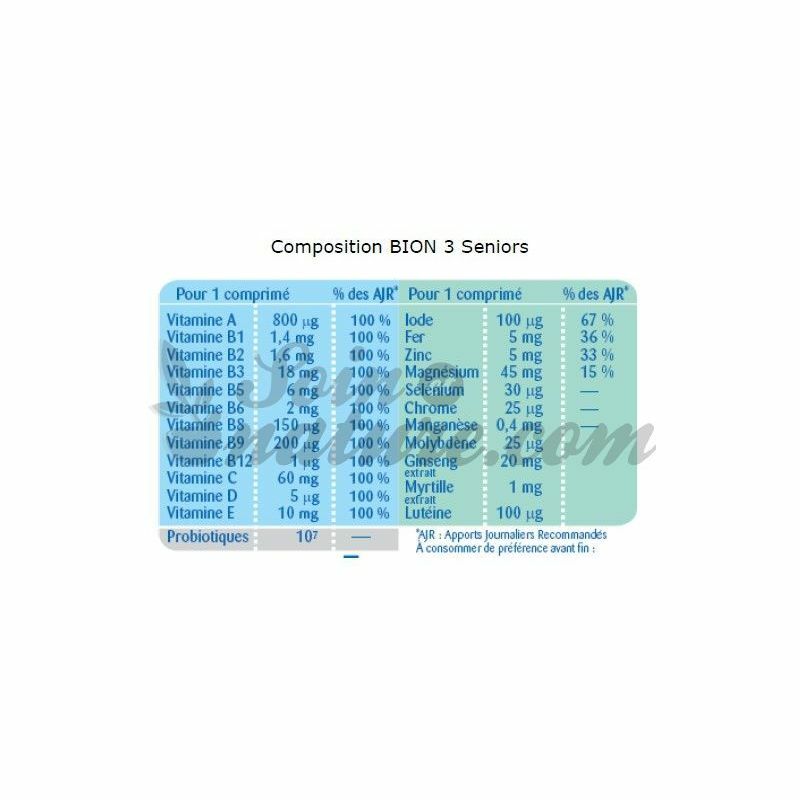 Bion 3 Senior 30 Tablets is a multivitamin complex for people who want to regain their shape and strengthen the natural defenses of their body. With age, the immune system can weaken. But becoming seniors does not mean staying cloistered at home! There is no question of renouncing its activities at the slightest blow of fatigue. To improve its tone and strengthen its natural defenses, Bion 3 Senior 30 tablets contains three probiotics, 12 vitamins and extracts of ginseng, blueberry, and lutein. A complete formula to replenish vitality and strengthen its natural defenses! Stimulate the defense system of the organism (the immune system). Thus certain probiotics make it possible to restore situations of disequilibrium prejudicial to the health, to prevent the appearance or the repetition. • 12 vitamins: A, B1, B2, B3, B5, B6, B8, B9, B12, C, D, E and 7 mineral salts: iodine, iron, zinc, selenium, chromium, manganese, close to 100% of the Recommended Daily Allowances). Today, some people do not reach the Recommended Daily Allowance (RDA) in some micronutrients. • Extract of ginseng, blueberry extract and lutein, which complete the formula. 1 tablet per day to swallow with a glass of water for 30 to 60 days, to be renewed if necessary. 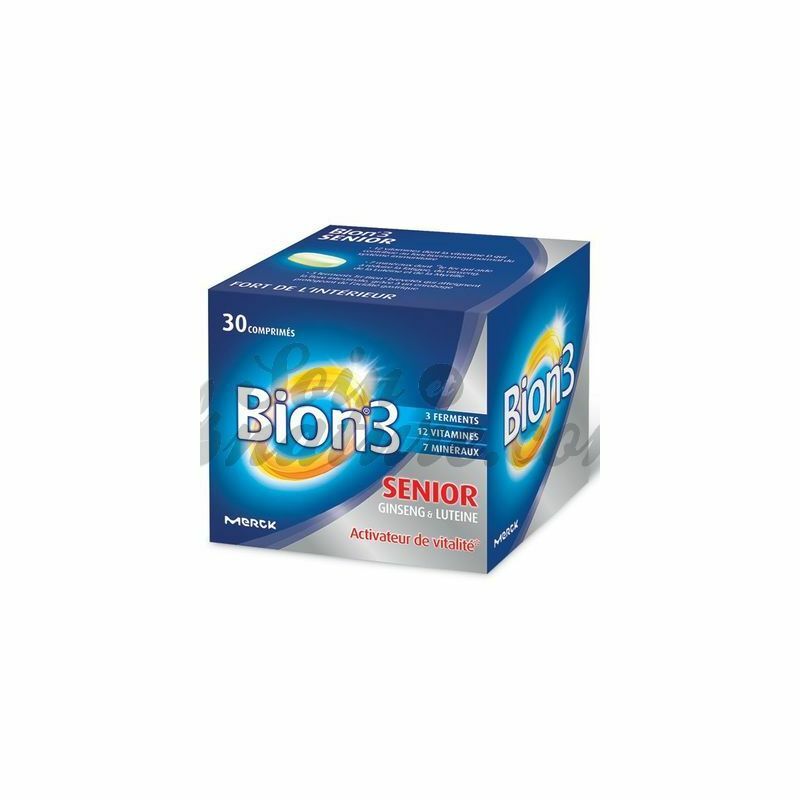 Bion®3 Seniors can be used in adults from the age of 12 years. Taking Bion® 3 Seniors does not mean a balanced diet or a healthy lifestyle. 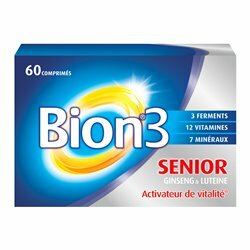 Bion3 Seniors 30 Tablets contains: Preparation of probiotic cultures either Lactobacillus gasseri, Bifidobacterium bifidum, Bifidobacterium longum, Ca carbonate, dextrin and maize starch, Ca ascorbate either vitamin C 60 mg, acetate concentrate of alpha tocopherol or vitamin E 10 mg, ginseng extract 20 mg, Zn oxide, Zn 5 mg, nicotinamide 18 mg, Mg stearate, K chloride, Mg oxide, Mg 45 mg, crospovidone, Ca 6 mg pantothenate, Ca phosphate, sulfate Mn 1,2 mg, synthetic vitamin A concentrate 800 mcg, sodium selenate 30 mcg, pyridoxine hydrochloride 2 mg, cholecalciferol concentrate either vitamin D 5 mcg, thiamine nitrate either vitamin B1 1,4 mg, riboflavin 1.6 mg, cyanocobalamin 1 mcg, blueberry extract 1 mg, lutein 100 mcg, folic acid 200 mcg, K iodide I 100 mcg, biotin 150 mcg, Cr chloride Cr mcg, Na molybdate dihydrate either Mo 25 mcg, Fe oxide or Fe 5 mg , inulin, Mg stearate, Fe oxide, colloidal silica, crospovidone, glucose, bright blue, croscarmellose sodium, colloidal silica, hydroxypropylmethylcellulose, povidone, microcrystalline cellulose, hydroxypropylcellulose, glycerol stearate, excipients qsp a tablet. • Avoid the use of Bion®3 Seniors in cases of fructose intolerance, saccharase-isomaltase deficient or with glucose-galactose malabsorption. • Consider the presence of potassium at 5 mg.
• DO NOT LEAVE TO CHILDREN. 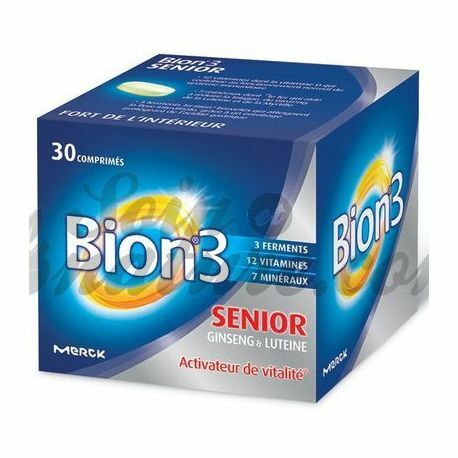 Bion®3 Seniors is available in packs of 30 or 60 or 90 tablets. 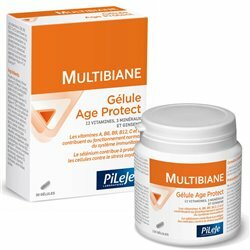 Find a selection of food supplements for seniors. Effectively fight against the small inconveniences of everyday life with effective and quality remedies. Seniors, beware of deficiencies. Diet plays a crucial role in being healthy. Yet it is estimated that up to 78% of people over 50 will need to be supplemented with vitamins and minerals one day. Indeed 75% of seniors suffer from deficiency of vitamin D , vitamin that the body produces naturally through exposure to the sun in particular and which helps to fix calcium on the bones. More than half of people over 65 are also lacking in calcium. To stop the inflammatory process and stop the breakdown of cartilage, it is better to adopt a good targeted diet and have some plants and vitamins at hand. Calcium and vitamin D are known to help fix bone cells and slow the onset of osteoporosis. For joints we put on fatty fish, wheat germ, dry lentils. Omega 3s found in oily fish such as salmon, herring and mackerel, but also in vegetable oils such as rapeseed are converted into EPA, a fatty acid that preserves cartilage and slows down the process. inflammation. 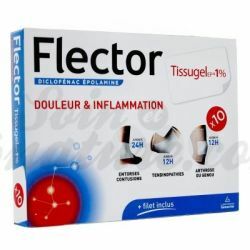 As a dietary supplement, turmeric and silica will be preferred to block the breakdown of joints. Over time, our skin becomes less firm, less smooth. If we can not stop the effects of time we can at least delay their appearance and curb their damage. Indeed, under the influence of hormones, the production of collagen, coenzyme Q10 decrease with age. This natural parade against the misdeeds of time no longer fulfills its purpose: the skin relaxes, wrinkles are deepened. This is why the use of anti-aging dietary supplements to combat the visible signs of time is indicated: marine collagen, hyaluronic acid, coznzymes Q10, borage oil products are dietary supplements anti-aging on sale in your online bio pharmacy specializing in natural remedies. The onset of menopause is accompanied by multiple manifestations in the elderly: weight gain, mood swings, hot flashes, osteoporosis. Many dietary supplements for seniors can help you reduce these inconveniences. One can also speak of the benefits of the evening primrose for its action on the skin but also and especially in the inconveniences related to the menopause, in particular the decrease of morale, the pains related to the fluctuation of the hormones. For more information do not hesitate to ask your pharmacist for advice.